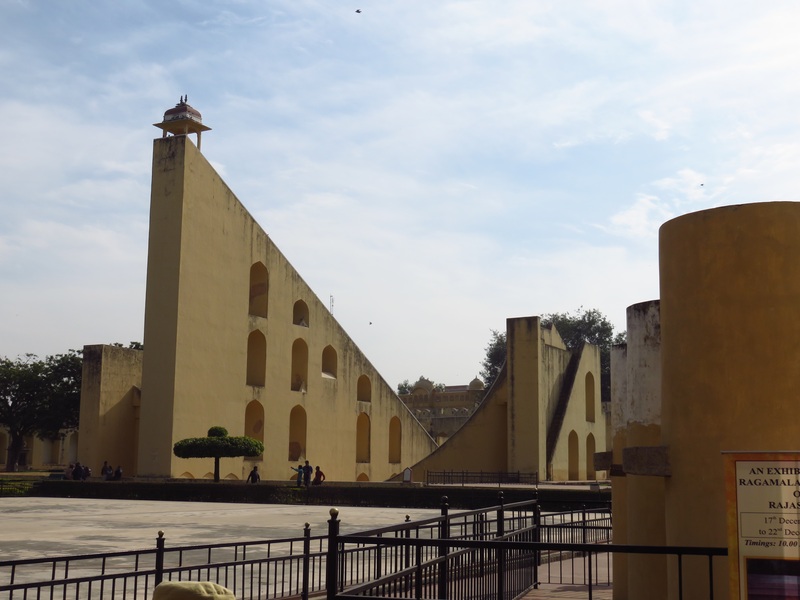 To recap thus far, we have visited the states of Delhi – the capital territory of India – and Madhya Pradesh – “the heart of India” – and are now exploring Jaipur, the capital city of Rajasthan. 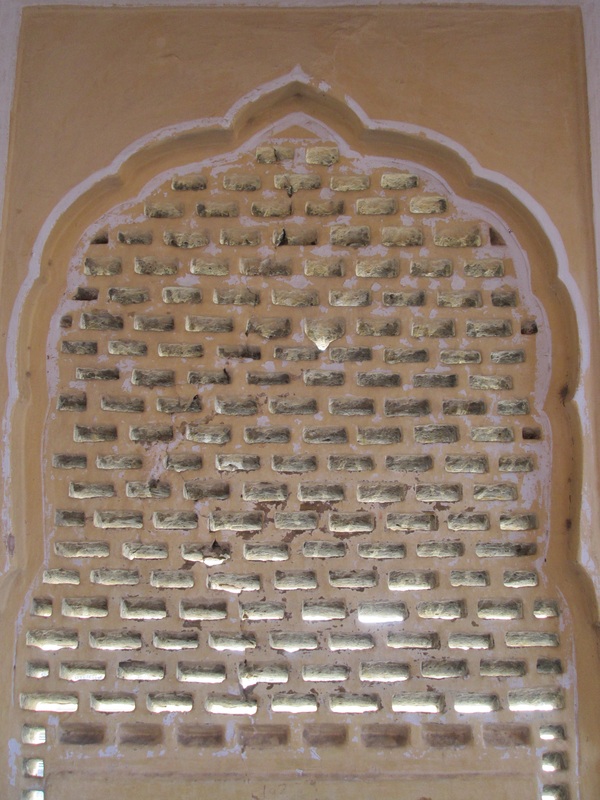 Jaipur was founded by Jai Sing II, the Raja of Amer in 1727. His capitol originally lay 51 km away, but water was becoming scarce, and Jai felt that shifting his city would increase the population. After much deliberation and the architectural guidance of Vidyadhar Bhattacharya, the city was laid-out in accordance with the classic principles of Vastu Shastra. Its core concept centers around urban planning for the comfort of its citizens and the integration of the built environment with nature, while trying to maintain perfect geometric patterns (Yantra), symmetry, and directional alignment. 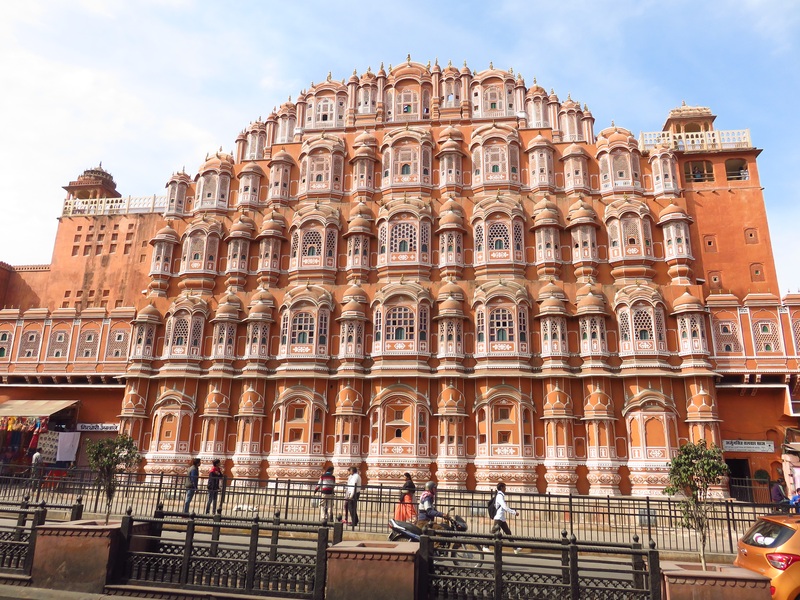 The first stop of our day was the Hawa Mahal, “Palace of Winds.” Built in 1799 by the Maharaja Sawai Pratap Singh, the structure was designed by Lal Chand Ustad to form the crown of Krishna. The five-story exterior face is reminiscent of the honeycombs of a beehive, and has 953 jharokhas (small windows) with intricate latticework. Not only did the windows allow royal ladies to observe daily life without being seen, but it also resulted in the Venturi Effect, natural ventilation that helped promote the flow of cool air through the building in the summers. I also noticed that a lot of the window slots slanted downwards. 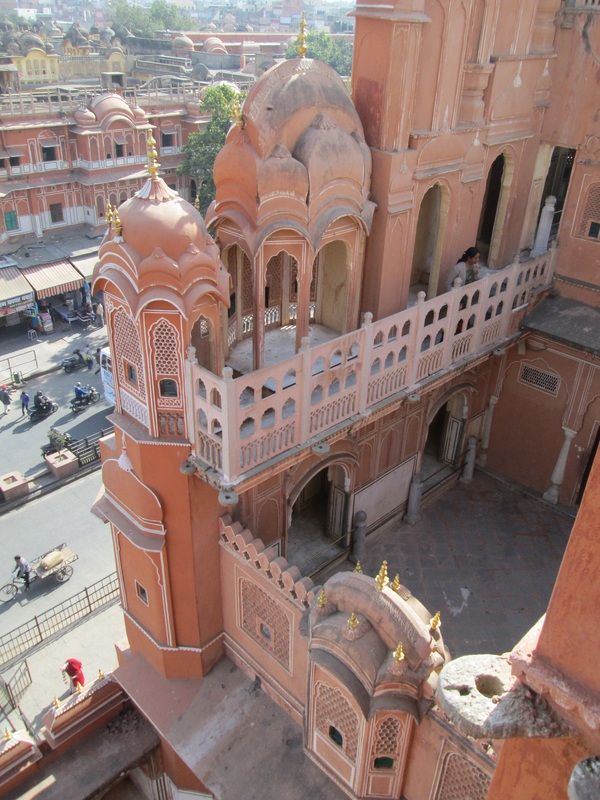 Jaipur, named “The Pink City” because so many of its buildings are painted pink, lies in the desert. The slant of the window perforations allowed residents access to fresh air, without putting them at the mercy of the blazing sun. I found this to be a particularly ingenious idea for being created almost 300 years ago. 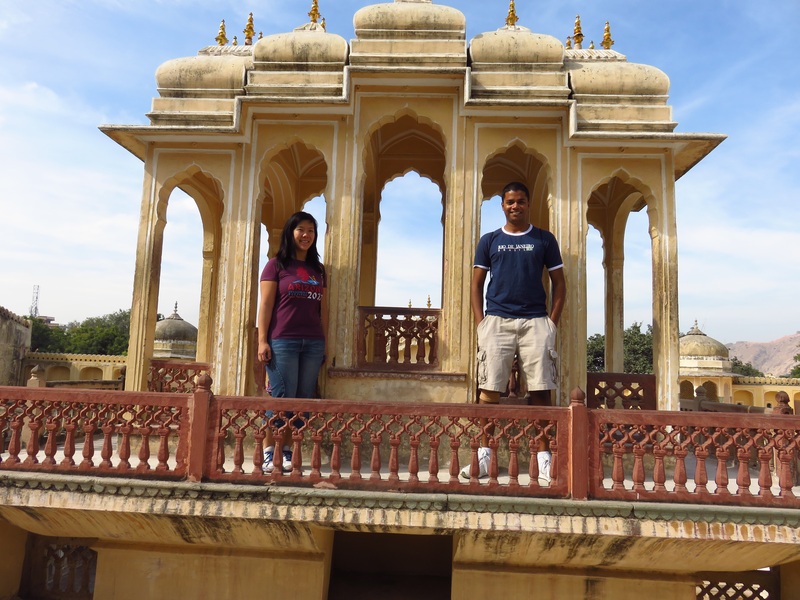 We had then hoped to visit the City Palace, but were rebuffed by how expensive it would have been to tour the interior (about 2500 rupees for foreigners with no cameras allowed). While the pictures shown at the ticket office were pretty jaw dropping, this price point would have been equivalent to $45! It would have been the most expensive tourist destination I’d ever gone to across every continent and country. At the same time, this is marginally understandable as Rajasthan is one of the few states with present-day Royalty. They only chose to merge with the Indian Union after Indian Independence in 1949. Just a few steps away was the Juntar Mantar. You may recall that it has a sister that we visited in Delhi.